The Perlan 2 engineless aircraft has flown to over 52,000 feet over Pagagonia in record breaking reach to the stratosphere. Chief pilot Jim Payne and co-pilot Morgan Sandercock completed this historic Perlan 2 flight from Comandante Armando Tola International Airport in El Calafate, Argentina, surpassing the previous 50,727-foot world record for glider altitude that was set in the unpressurised Perlan 1 by The Perlan Project founder Einar Enevoldson and lead project sponsor Steve Fossett in 2006. Following the completion of the mountain-wave gliding season in Argentina, Airbus Perlan Mission II will return to Minden, Nevada, where the all-volunteer team will modify and enhance the Perlan 2 glider based on information acquired in this year‘s test flights. 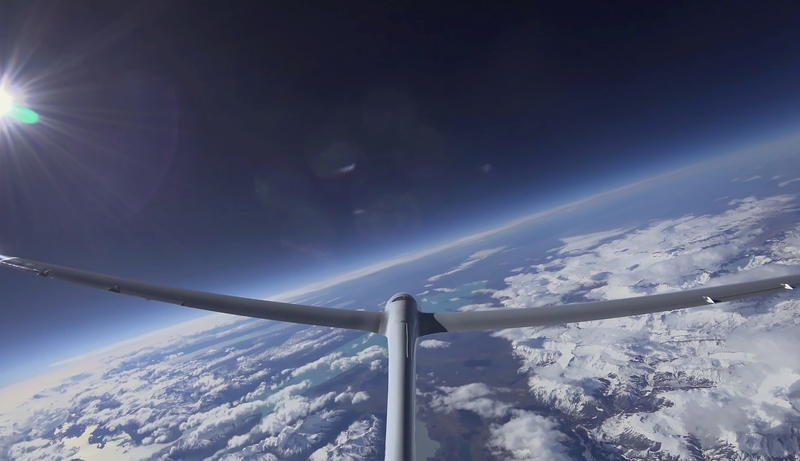 Ultimately, the Perlan Project will attempt to reach 90,000 feet, a world altitude record for any wing-supported flight, with or without an engine.